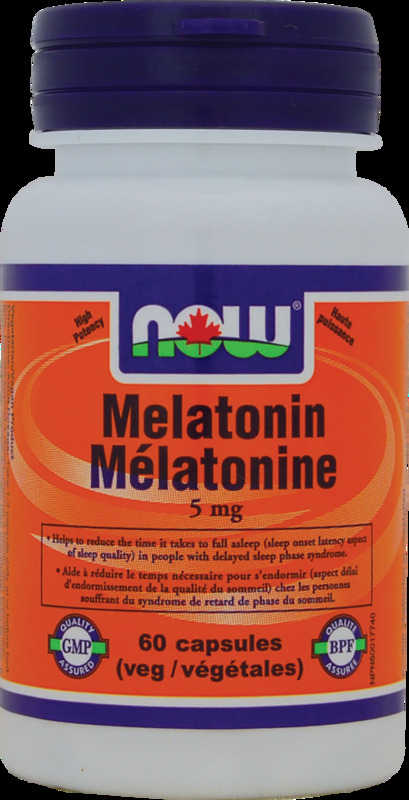 Melatonin is a neuro-hormone (amino acid) naturally produced in the pineal gland in the brain and present in high amounts in the gastrointestinal tract. It is involved in many of the body, brain and glandular biological functions including regulation of normal sleep/wake cycles. This mid-high potency is suited for individuals with more challenging sleep issues. The vegetarian capsules also makes this product suitable for vegetarians / vegans. Non-Medicinal Ingredients: Cellulose, Veg Capsule (pullulan, water) Magnesium Stearate (vegetable source). Consult a health care practitioner prior to use if you have a hormonal disorder, diabetes, liver or kidney disease, cerebral palsy, seizure disorders, migraine, depression and/or hypertension or if you are taking lood pressure or sedative/hypnotic medications. If symptoms persist continuously for more than 4 weeks (chronic insomnia), consult your health care practitioner. Do not use if you are taking immunosuppressive rugs or if you are pregnant or breastfeeding. Do not drive or use machinery for 5 hours after taking melatonin.